Late anaplastic shift of differentiated thyroid carcinoma represent a very rare event, still controversial as genomic and epigenetic associated factors and also as adequate management. The neoplasia is resistant to traditional radioiodine therapy and TSH (Thyroid Stimulating Hormone) suppression treatment that works well for most of follicular and papillary thyroid cancers. We aim to introduce a case of mix anaplastic/undifferentiated and differentiated thyroid cancer of papillary type to which thyroid surgery was performed and close post-operative follow-up is also introduced. This is a 63-year old non-smoking male, with irrelevant personal and family medical and surgical history, admitted for recent dysphonia. Thyroid function was normal as well as serum calcitonin and parathormone. Specific thyroid autoimmune background was negative. Ultrasound showed a macronodule of 2.28 by 2.25 by 2.3 cm at the level of third median part of the left lobe with an irregular shape (the left lobe has 6.48 by 2.57 cm and the right lobe has 4.66 by 1.33 cm without any relevant nodule on this side). Paralysis of recurrent laryngeal nerve was also confirmed. Palliative subtotal thyroidectomy with left latero-cervical lymphadenectomy was done. Pathological report showed poorly differentiated/undifferentiated/anaplastic carcinoma (of 2.5 by 1.7 cm) with residual areas of papillary thyroid carcinoma associating tall and columnar cells of oxyphil type (oncocitar variant), and, also, out of 14 lymph nodes 7 had invasion of mostly papillary thyroid cancer with tall and columnar cells and restrain areas of undifferentiated carcinoma. Ki67 was 40% in undifferentiated areas versus 10% in papillary carcinoma. 5 months after, the patient had a large extensive mass at left thyroid area with local invasion. Radiotherapy was introduced. Despite recent advance in genetic features, therapeutical options are still limited for every day practice in cases with late anaplastic/undifferentiated shift from differentiated thyroid carcinoma and delayed diagnosis. Surgery is part of the management and probably is most useful in extremely early stages of disease, and every time when it is feasible the rational is to apply it since radioiodine therapy and chemotherapy as not useful in this particular situation. 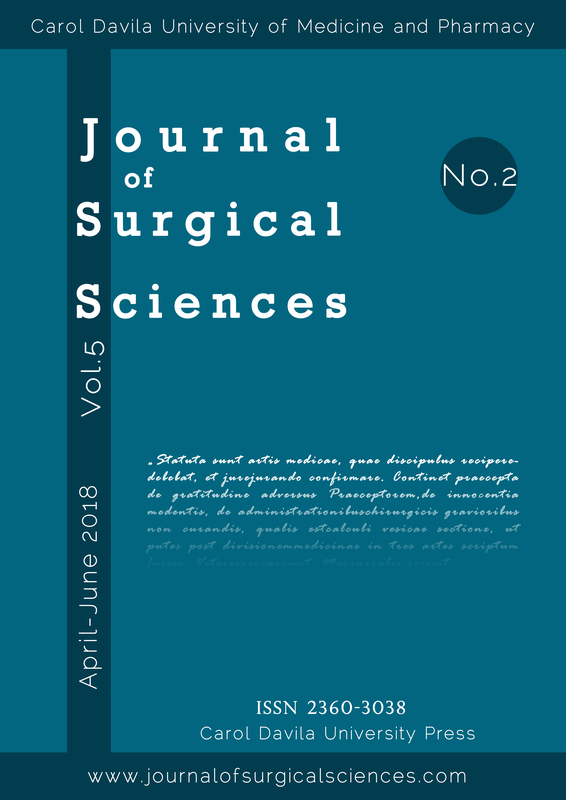 M. Olaru, “LATE ANAPLASTIC SHIFT IN DIFFERENTIATED THYROID CARCINOMA: SURGERY AS PIECE OF MULTIDISCIPLINARY PUZZLE”, JSS, vol. 5, no. 2, pp. 93-98, Nov. 2018.